Meet the famous Parrot-Parrot from Hong-Hong Kong-Kong who repeats everything he says-says. 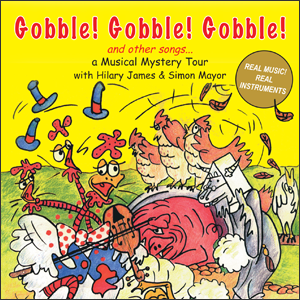 Gobble with the noisy turkeys and get ready to sing with Timothy Tractor. Put your dancing shoes on for the Sailor's Hornpipe, then take a deep breath before you try the Herring's Head.